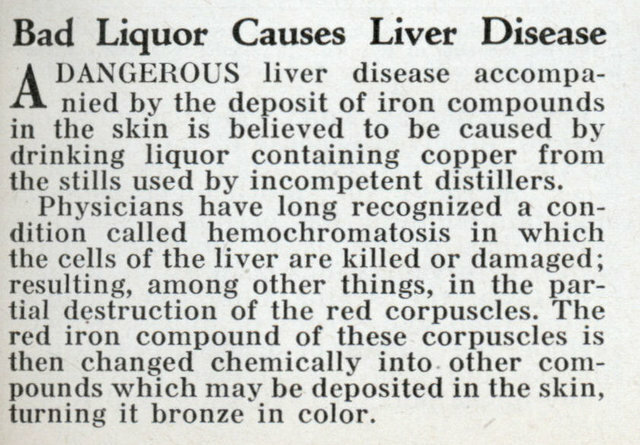 A DANGEROUS liver disease accompanied by the deposit of iron compounds in the skin is believed to be caused by drinking liquor containing copper from the stills used by incompetent distillers. Physicians have long recognized a condition called hemochromatosis in which the cells of the liver are killed or damaged; resulting, among other things, in the partial destruction of the red corpuscles. The red iron compound of these corpuscles is then changed chemically into other compounds which may be deposited in the skin, turning it bronze in color. I thought it was Lead that was the dangerous contaminant. I believe lead is toxic in smaller amounts than copper, and because it was present in paint, gasoline, and plumbing solder it is more prevalent in the environment. 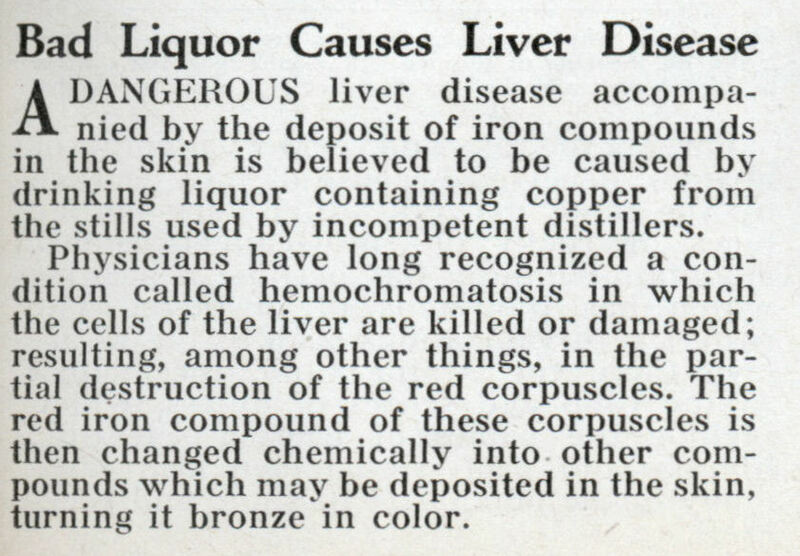 This article’s 1932 date is about a year before the US repealed Prohibition (of alcohol), which began in 1920. 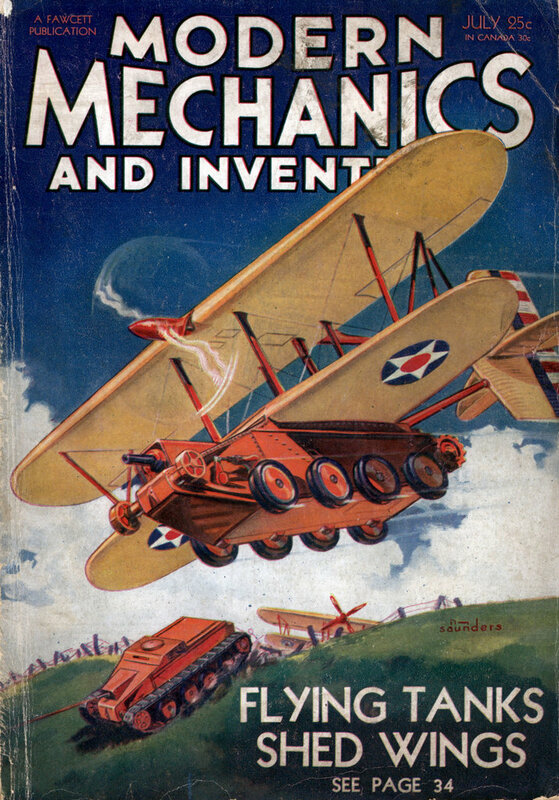 For an amusing lyric, see Irving Berlin’s 1920 tune “C-U-B-A.” http://www.oldielyrics…. Alcohol in ANY form is bad for the liver. Small amounts of alcohol are not bad for you. However during Prohibition the government poisoned alcohol to scare people away from drinking. Prohibition was perhaps the single most ill conceived social experiment and we are still suffering the after effects.